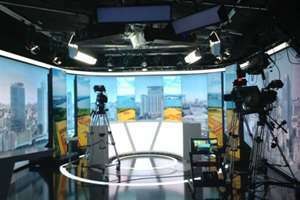 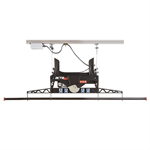 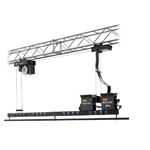 This small news studio shows the flexibility offered by IFF Advanced Rigging rail systems which can be adapted for both installation and positioning of the lighting equipment. IFF rails and all its accessories were the perfect solutions in this less than 4 m high news studio. 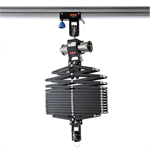 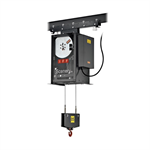 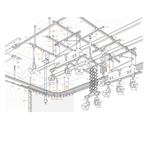 Additionally, to enrich this suspension system, have been installed more than 48 Telescopic Drop-arm. 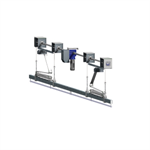 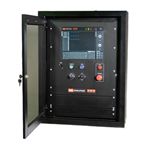 Please visit the following webpageo to find out which are the IFF Top Rails System products.